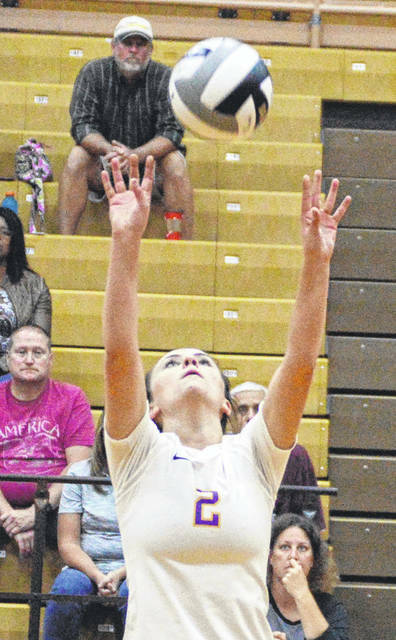 Alyssa Burley goes for one of her 18 kills in a loss to Northmont on Monday. Grace Marshall plays a ball during Butler’s loss to Northmont. Northmont’s Daisy Sampson receives a serve during the Thunderbolt’s win over Butler. Northmont’s Lily Reidy goes for a kill during a win over Butler on Monday. Northmont’s Shay Heath goes for one of her 15 kills during a win over Butler. Grace Swarts passes the ball during Butler’s loss to Northmont. Karli Kercher receives a serve during Butler’s loss to Northmont. 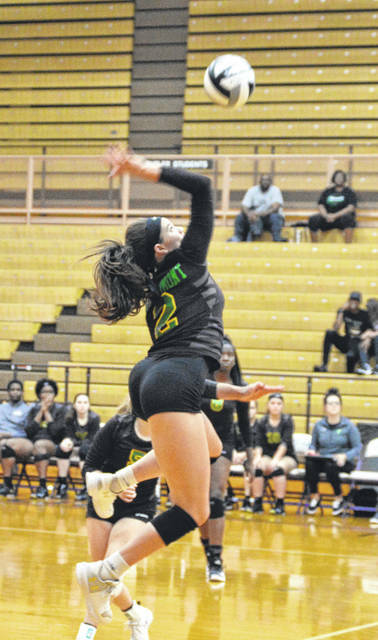 PIQUA — After falling to Northmont in three sets to snap a three-match winning streak, the Butler volleyball team bounced back on Tuesday to defeat Piqua Stivers in three sets each. 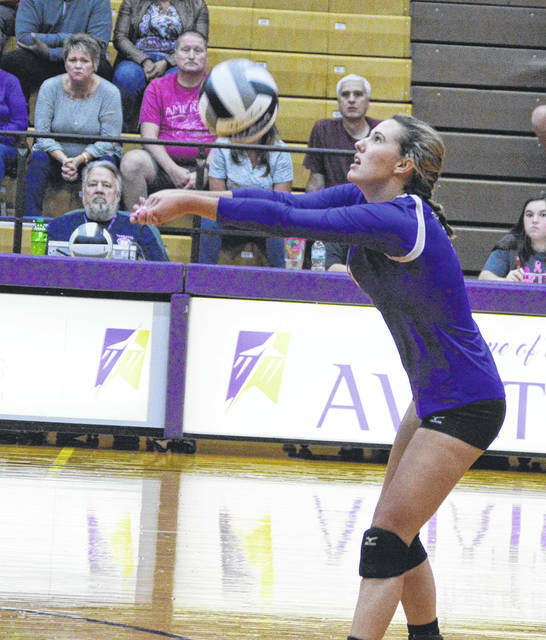 The Aviators traveled to Piqua on Thursday and picked up a Greater Western Ohio Conference North division win over the Indians 25-21, 25-18, 25-18. The win lifted the Aviators to 11-6 overall and they remained 9-2 in league play. Alyssa Burley led the Aviators with 17 kills along with Taryn Butler with 13 kills. Burley also led in aces with four while Karli Kercher had three. Kercher also led the team with 15 digs while Grace Swarts handed out 33 assists. Butler jumped on the visitors from Stivers early and collected a relatively easy win 25-8, 25-14, 25-8. Alyssa Burley led the Aviator attack with 16 kills with Grace Marshall getting 12. 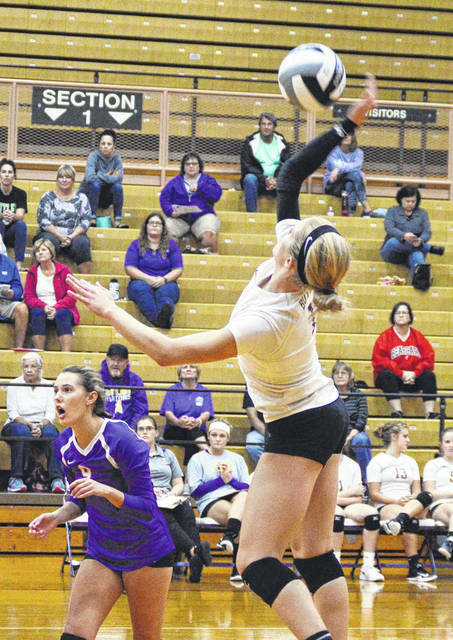 Karli Kercher collected five serving aces with Burley, Marshall, and Gracie Price collecting three each. Grace Swarts had 35 assists. 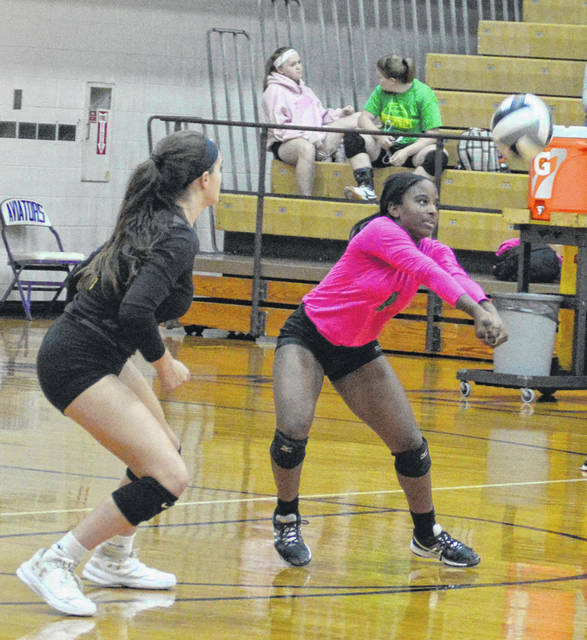 Northmont traveled to Butler’s Student Activities Center on Monday and swept the Aviators in three close sets 25-20, 28-26, 25-22. 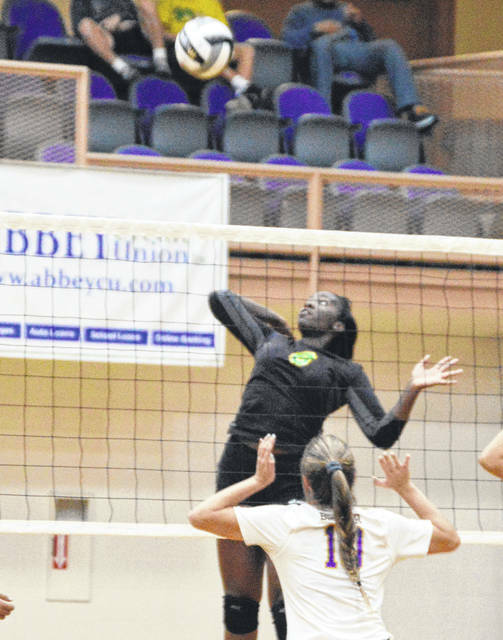 Burley recorded 18 kills and 16 digs while Kercher also had 13 digs. Swarts led the team with 35 assists. Daisy Sampson recorded 21 digs for the Thunderbolts and Shay Heath led the team with 15 kills. Lily Reidy had seven kills and five aces while Katie Stewart recorded 24 assists. Northmont was 6-9 overall and 2-5 in GWOC West play at press time. Butler will travel to Grreenville on Tuesday before hosting Troy on Wednesday, Oct. 3.